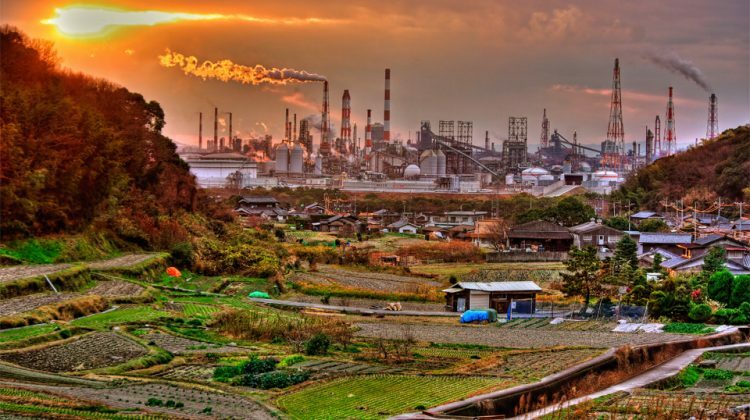 In the fifteen years after World War II, Japan made an astounding transition from wartime devastation to the boom known as the “Era of High-Speed Growth.” Japan’s High-Speed Growth system was an epoch-making innovation, that opened the current Asian age of world industrialization. The inflationary creation of credit by banks funded this industrial transformation, set its directions, and forced its pace. In fact, Japan’s style of hypercapitalist growth illustrates basic principles of capitalist development in an exceptionally clear way. Credit-leveraged growth also has built-in insustainabilities—we see them reflected today in the building up of international debt bubbles on an unprecedented scale. Here too, Japanese experience has lessons to offer. In trying to grasp this process, I found that the name of the Austrian economist Joseph Schumpeter entered the story in an unexpected way. Not only does Schumpeter’s century-old book, The Theory of Economic Development, help us see this industrial revolution in a clearer light. More surprisingly, Schumpeter’s Japanese students chaired some of the country’s most influential policy councils during this crucial period. They took Schumpeter’s ideas and put them to work in entirely new ways. Schumpeter’s basic realization was that the inflationary creation of new credit-capital—new purchasing power— mainly by banks, is the basic mechanism of capital creation under modern capitalism. On one hand, this is a form of monetary expropriation: high inflation, by its nature, robs the purchasing power of existing monetary wealth. But in appropriate developmental circumstances, when properly modulated, inflationary credit creation can also generate rapid industrial growth. No past economic system has approached what industrial capitalism has achieved in this respect. In Japan’s case, a highly rationalized system of credit-capital provision funded a kind of growth that seemed miraculous. We might also call it Faustian, for a classic literary work points to some of its sources. In Part Two of Faust, Johann Wolfgang von Goethe presents an allegory of paper money and capitalist development. The scene opens at the court of the emperor at a time when the empire is overburdened with debt. Faust and the devil Mephistopheles, appear at court.Mephistopheles, in the guise of court jester, tells the emperor that he need not wait for treasure to be dug out of the ground before spending it. Mephistopheles understands that a credible, negotiable claim to money is money. He explains that the vast unknown treasures underground can be represented by paper notes. The emperor’s paper money represents nothing more than potential wealth, yet the creation of believable claims written on slips of paper is enough to enroll legions of followers and set them to work creating new productive resources. The emperor’s debts are erased at a stroke and Mephistopheles and Faust earn a place at the emperor’s side. Faust goes on to become an entrepreneur, which of course is when the devil comes to collect his debt. Faust’s venture into capital creation recalls an episode in history that Goethe knew well: the story of the financier John Law, who after the great war of 1701–14 proposed to the French regent that the kingdom’s land could be a basis for creating paper money. The French regent hired the Scottish bankerand fired his alchemists, who were now redundant. Then he set up a state bank that paid off the kingdom’s immense war debts. Joseph Schumpeter considered John Law’s scheme an epoch-making capitalist innovation, despite the notorious Mississippi bubble of 1719–20 it produced. He credited Law with the discovery that banking operations could “manufacture” money—“and hence capital in the monetary sense of the term.” The problem with Law’s plan, Schumpeter said, was that the newly created credits were not directed to a commercial or industrial enterprise that would have repaid the social investment. As it happened, Law’s banknotes lost their purchasing power, Law’s bank collapsed, and Law fled the scene. 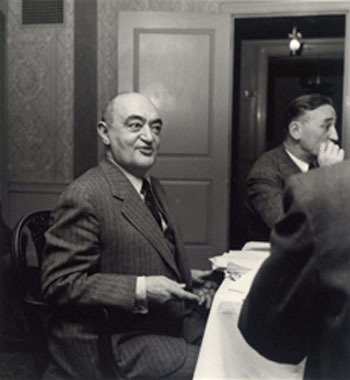 Schumpeter originally described the mechanism at work here as “forced savings.” New credits created for new investment reduce the purchasing power of already existing money—it is a privately imposed “inflation tax” and, in effect, a fractional expropriation of purchasing power from others. In this way, capital formation could be forced upon the community “through monetary witchcraft,” as Schumpeter’s friend Fritz Machlup put it. Schumpeter’s idea of forced savings appeared in Japan’s first and most influential textbook of neoclassical economics, written by Schumpeter’s student Nakayama Ichiro. And hence the explanation given by Okita Saburo, the Japanese government’s top economic planner, in 1957: if a country were to restrict its new investment to the amount of monetary savings already collected, “not much could be done.” But by investing in excess of savings, great deeds could be accomplished. Schumpeter developed a sophisticated justification for the extraordinary money-creation license given to banks, arguing that new purchasing power created by banks, although inflationary in the short run, would not be inflationary in the long run, if it were directed to the expansion of production. The new production would balance, or over-balance, the new means of payment. Cycles of price inflation and deflation are not incidental to the capitalist developmental process but rather are the very mechanism through which it operates. 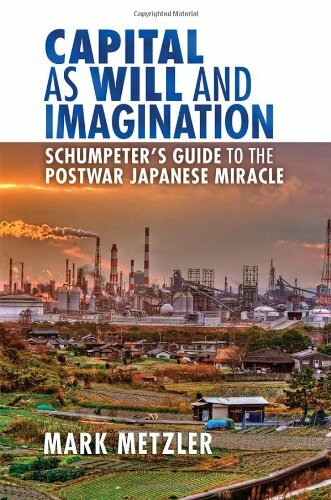 Schumpeter’s idea is a credible description of the main direction of capital investment during Japan’s Era of High-Speed Growth. This was also a time when Japanese governmental and central bank authorities actively restricted the use of capital for nonproductive purposes. But what of capital created by banks for speculation in land, or in already existing commodities? And what of capital created for the even more reflexive, recursive business of purely financial speculation, capital scarcely or not at all mediated by investment into the world of material commodities? This brings us to the economic bubbles of recent decades. The first great economic bubble appeared in Japan; the appearance of the same phenomenon in the United States, Britain, and Europe suggests a further idea: that Schumpeterian finance, on the scale of the credit creation that funded the first great age of industrial capitalism, has outlived its usefulness in the already industrialized world. More than that, it appears radically incompatible with the emerging circumstances of countries that are experiencing zero population growth and need now to embark on a course of qualitative development rather than rapid, extensive industrial growth. Massively leveraged finance, created in ever greater volume, cannot continue to correspond to an ever greater torrent of production. In these new circumstances, the type of banking system that funded the first great age of capitalism works as a bubble machine, casually throwing up immense debts that act as a dead weight on everything else. In considering our twenty-first-century world, the Japanese experience may have a more universal significance than has hitherto been recognized. Japan’s High-Speed Growth, the culmination of an eighty-year process, was itself a historic super-compression of capitalist development. And now, it seems that Japan is the country that completed the modern inflationary process first. Simultaneously the country is making a highly compressed transit from the “first” demographic transition to the “second”—meaning that population decline is already under way. Underlying forces tend now in the direction of deflation rather than inflation. The present slowdown may thus signify a turning point on a very long timescale: the culmination of Japan’s modern era of inflationary industrial-capitalist development. This question will be answered by a history that remains to be seen. It is also a question in the spirit of Schumpeter’s own approach and vision of economic life as a rhythmic, dynamic developmental process.